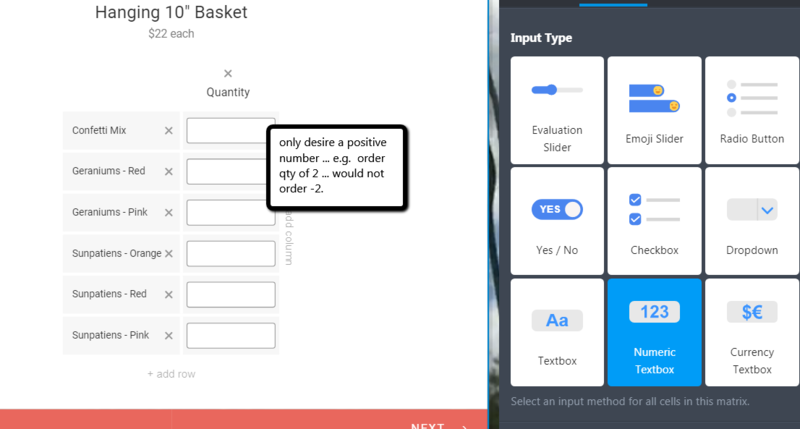 The form is used for product ordering which would never be a negative qty.... How can I select a range of values such as only zero or above? Also, the drop down as numbers would be an alternative but the shadow text "Search" doesn't show up well...showing as "Sea"
Unfortunately, the input table has no option to select a range value. But the Configurable list can, you can use the formula 1,0,10000 that would only allow numbers above 0.